WOW! 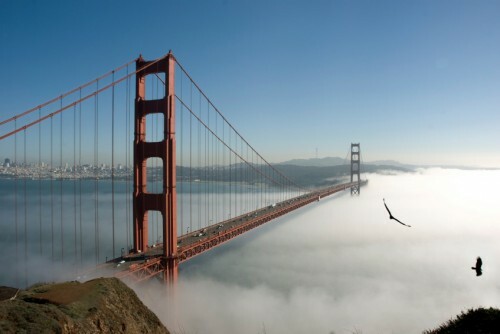 Cheap flights to USA: California from Prague for only €350! Norwegian now offers super cheap flights from the Czech Republic to California! 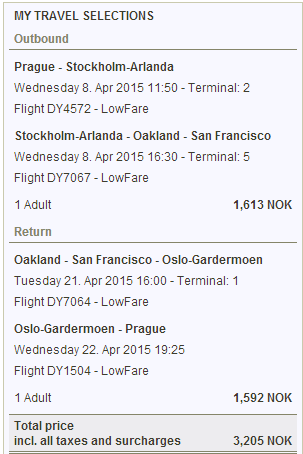 Return tickets from Prague to Oakland will cost you only €350 / 3205 NOK / 9763 CZK! Oakland is literally across the bridge from San Francisco. This price is super low compared to standard fares around €800! There is only cabin luggage up to 10 kg included unfortunately which might be enough for 1 week trip. If you need classic check-in luggage it’s 350 NOK (€38) for each direction. Norwegian is low-cost airline so food is also not included so we recommend to bring some sandwich or snack with you as the onboard food is extremely overpriced. Expect one stopover in Oslo. It is cheaper if you pay in NOK than in EUR. Travel dates are in March, April and May. « HIT! Cheap flights to Philippines: Manila for only €352!